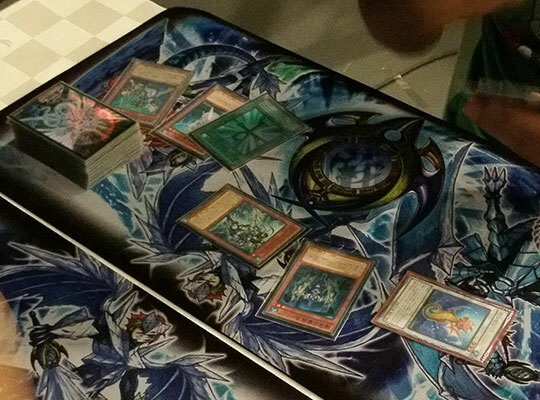 We are in the final round of our Yu-Gi-Oh! 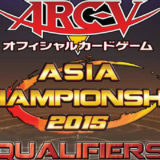 Open Tournament – Singapore 2015 Asia Premier, and at Table 1 we have an exciting match that showcases the game’s international appeal. 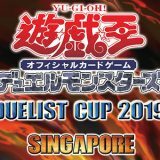 On one side, we have Yu Bixuan from Singapore, currently with a record of 7-0. He’s looking for his final win to solidify his position as 1st in the leaderboard. 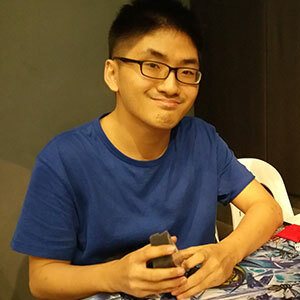 Bixuan is a seasoned competitive duelist, having represented Singapore for the Asia Championship Plus 2012 and Asia Championship Plus 2014. Bixuan is playing with Atlantean. 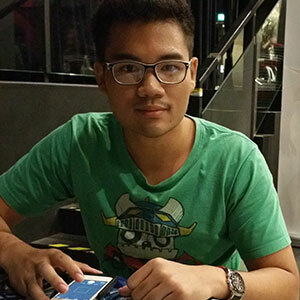 On the other side, we have Chattanat Sirirattanapat “Benz” from Bangkok, Thailand, currently with a record of 6-1. Winning this match would give him a very good chance of taking the 1st position with his strong tiebreakers. 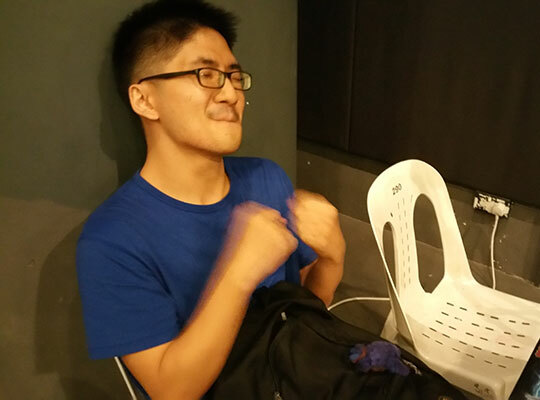 Benz is a familiar face in the Thai competitive scene, being the 1st Runner-Up of the World Championship 2013 – Thailand Qualifier. Benz is also playing with Atlantean. Bixuan won the dice roll but chose to go second. Benz opened with a Deep Sea Diva to bring out Neptabyss the Atlantean Prince. Neptabyss the Atlantean Prince‘s effect was activated, sending Atlantean Dragoons, and both Atlantean Marksman and Moulinglacia the Elemental Lord were added to hand. Deep Sea Diva and Neptabyss the Atlantean Prince were used to Synchro Summon Child Dragon, which was then used with another Neptabyss the Atlantean Prince in hand to Synchro Summon Herald of the Arc Light. Moulinglacia the Elemental Lord was then Special Summoned, discarding and banishing Bixuan’s Neptabyss the Atlantean Prince and Atlantean Heavy Infantry. Benz followed with a set card to his backrow before passing. 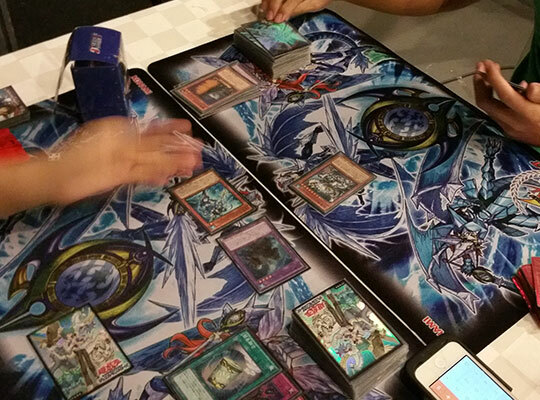 It was only the first turn, but Bixuan found himself facing against a strong opening from his opponent. With Herald of the Arc Light stopping his Atlanteans, Bixuan could only set 2 cards to his backrow and passed. 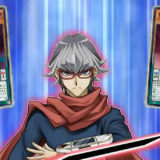 Benz looked to push his advantage as he played a Mystical Space Typhoon from his hand, targeting one of Bixuan’s set card. Unfortunately it was a Compulsory Evacuation Device, bouncing Benz’s Herald of the Arc Light back to the Extra Deck. Benz Normal Summoned Atlantean Marksman and attacked with it, but Bixuan had Ring of Destruction for it, dropping both players to 6600 life points. 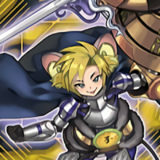 Moulinglacia the Elemental Lord was left open to direct attack for 2800 damage, dropping Bixuan further to 3800 life points. 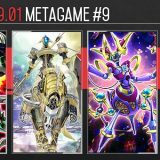 Bixuan Normal Summoned Neptabyss the Atlantean Prince, but it was met with Benz’s Ring of Destruction, dealing 800 damage to both players. Bixuan paid 1000 life points to activate Instant Fusion, but Benz had his Maxx “C” ready. Instant Fusion brought out Elder God Noden, which in turn revived Neptabyss the Atlantean Prince, allowing Benz to draw 2 cards through Maxx “C”. Bixuan activated Neptabyss the Atlantean Prince‘s effect, sending Atlantean Heavy Infantry. Neptabyss the Atlantean Prince remained negated by Elder God Noden, but Atlantean Heavy Infantry‘s effect was able to take out Moulinglacia the Elemental Lord. During the End Phase, Elder God Noden was destroyed, and the Neptabyss the Atlantean Prince that it brought back was banished. Benz drew and passed, and Bixuan followed suit. Benz Normal Summoned Atlantean Marksman and direct attacked with it, dealing 1400 damage. Neptabyss the Atlantean Prince was brought out and direct attacked for the game! Despite the explosive Turn 1 play that Bixuan was largely unable to recover from, Bixuan remained steadfast in his strategy of going second in the mirror match. Benz opened with Neptabyss the Atlantean Prince, sending Atlantean Dragoons to fetch Atlantean Dragoons. 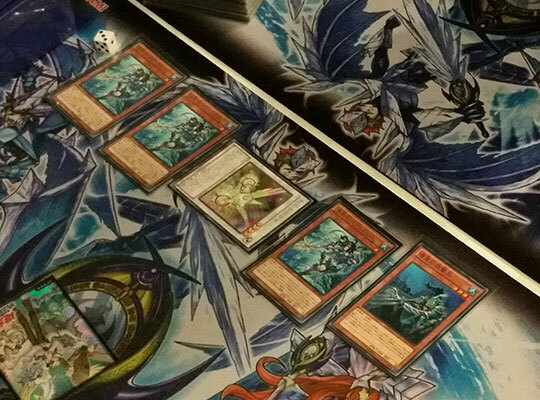 Atlantean Dragoons fetched Mermail Abyssmegalo and Benz set 2 cards to his backrow before passing. Bixuan had a Neptabyss the Atlantean Prince of his own, but it was a deja vu of Duel 1 as Benz had a Ring of Destruction for it. 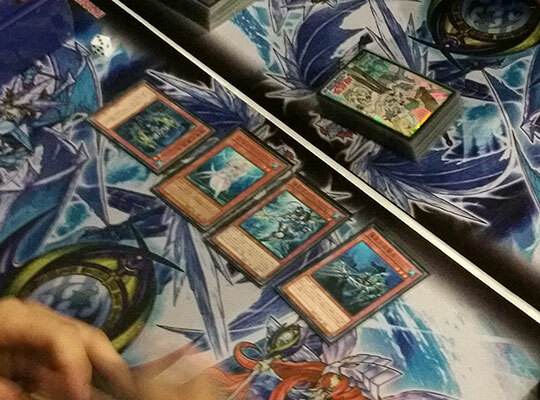 Ring of Destruction destroyed Bixuan’s Neptabyss the Atlantean Prince, dealing 800 damage to both players, dropping both to 7200 life points. All is not lost yet though as Bixuan had a Monster Reborn to bring back Neptabyss the Atlantean Prince. 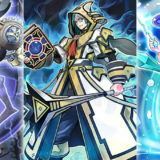 Neptabyss the Atlantean Prince sent Atlantean Dragoons, and Atlantean Dragoons and Mermail Abyssmegalo were added to hand. Atlantean Dragoons and Atlantean Heavy Infantry were then pitched to Special Summon Mermail Abyssmegalo. Atlantean Heavy Infantry‘s effect took out Benz’s Neptabyss the Atlantean Prince, while Abyss-scale of the Mizuchi and Moulinglacia the Elemental Lord were fetched to hand. 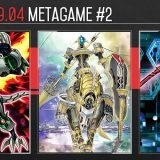 Bixuan activated Mermail Abyssmegalo‘s effect, tributing Neptabyss the Atlantean Prince, which revived Atlantean Heavy Infantry. 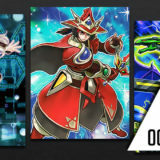 Atlantean Heavy Infantry allowed Bixuan an additional Normal Summon to bring out Deep Sea Diva, which in turn Special Summoned Atlantean Marksman. Atlantean Heavy Infantry and Deep Sea Diva were then used to Synchro Summon Herald of the Arc Light, eliciting a concede from Benz. Bixuan heaved a sigh of relief as going into the 3rd game opened up the opportunity for a comeback in this match. Benz was not going to give in either as the match reaches its climax in the final game. Benz had a different strategy for the mirror match-up and opted to go first. Benz pondered over his cards for a moment before making a move. He opened with Atlantean Heavy Infantry into Deep Sea Diva, bringing out Neptabyss the Atlantean Prince. Neptabyss the Atlantean Prince‘s effect was activated, sending Atlantean Dragoons, and both Atlantean Marksman and Moulinglacia the Elemental Lord were added to hand. 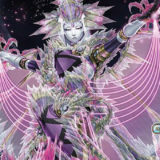 Deep Sea Diva and Neptabyss the Atlantean Prince were used to Synchro Summon Child Dragon. 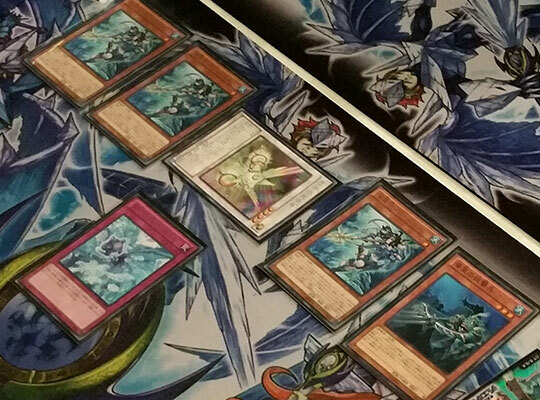 Benz played Monster Reborn to revive Neptabyss the Atlantean Prince, but wanted to switch to Atlantean Dragoons after realizing that he could bring out Trishula, Dragon of the Ice Barrier. 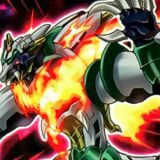 Bixuan appealed to the Judge, and the verdict given was that Monster Reborn had successfully resolved as the targeted monster was already placed on the field, and Monster Reborn was placed in graveyard. As such, Benz was unable to re-select a different target for his Monster Reborn. 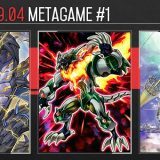 Slightly disappointed by his own mistake, Benz could only settle for a Stardust Spark Dragon using Atlantean Marksman from hand with Child Dragon and Atlantean Heavy Infantry from the field for the Synchro Summon. Moulinglacia the Elemental Lord was then Special Summoned, discarding Bixuan’s Pot of Avarice and Atlantean Heavy Infantry, and that was all for Benz’s turn. 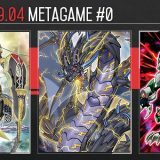 Bixuan Normal Summoned Atlantean Dragoons and attacked into Neptabyss the Atlantean Prince, resulting in Benz activating Stardust Spark Dragon‘s effect to protect it. Bixuan followed with a Dark Hole in his Main Phase 2 to clear out the board, before setting 2 cards to his backrow and passing the turn. 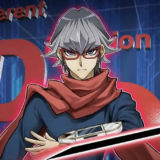 Benz activated a Mystical Space Typhoon on one of Bixuan’s set cards, destroying Diamond Dust. 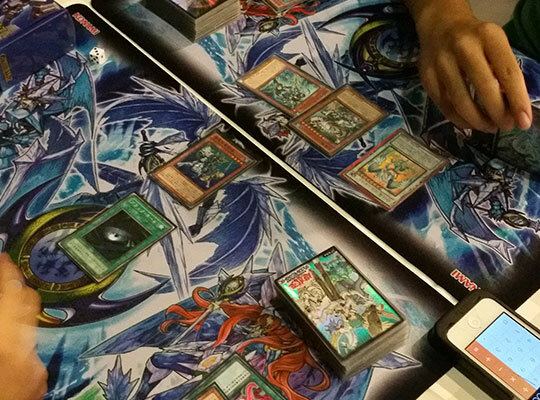 The following three turns were consecutive draw and pass between the two duelists. Benz broke the standstill with a Moray of Greed, shuffling Atlantean Heavy Infantry and Mermail Abyssmegalo back to the deck to draw 3 cards. Benz found himself a Salvage which took back Deep Sea Diva and Neptabyss the Atlantean Prince. Deep Sea Diva was then Normal Summoned, and Neptabyss the Atlantean Prince was Special Summoneded. Bixuan activated his Torrential Tribute before Benz could continue any further. Stopped in his tracks, Benz could only set a card to his backrow before passing the turn. It was Bixuan’s chance for a counterattack! 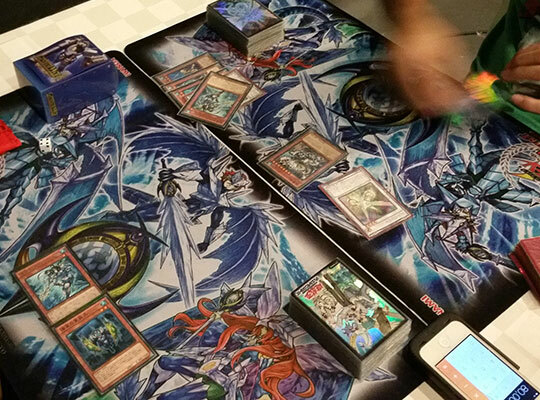 Bixuan played Harpie’s Feather Duster, destroying Benz’s Torrential Tribute and Ring of Destruction. Bixuan followed with a One for One to bring out Neptabyss the Atlantean Prince. Neptabyss the Atlantean Prince sent Atlantean Dragoons to the graveyard, and both Atlantean Marksman and Deep Sea Diva were added to hand. Deep Sea Diva was then Normal Summoned, special summoning Atlantean Heavy Infantry, which allowed him an additional Normal Summon to bring out Atlantean Marksman. Not wanting to make any mistakes, Bixuan carefully mulled over his options and uttered that the tensed situation was causing him to experience tournament stress. With so much on the line, a little tournament stress was inevitable. Finally, Deep Sea Diva and Atlantean Heavy Infantry were used to Synchro Summon Herald of the Arc Light in Defense Position. Atlantean Marksman went in for a direct attack, dealing 1400 damage, and Special Summoning another Neptabyss the Atlantean Prince. Both Neptabyss the Atlantean Prince followed in the attack, dropping Benz down to 5000 life points. Benz drew and passed, to the surprise of the crowd. Bixuan had to reaffirm that Benz was passing his turn before proceeding with his own. Atlantean Marksman attacked, dealing 1400 damage, and brought out the 3rd Neptabyss the Atlantean Prince! All 3 Neptabyss the Atlantean Prince went in for an attack, dropping Benz to dangerously low 1200 life points. “Why isn’t your Herald of the Arc Light in Attack Position?”, Benz lamented. “Cos it’s prone to attacks with its low ATK”, Bixuan replied. Perhaps Benz had a Neptabyss the Atlantean Prince in hand that was unable to go over Herald of the Arc Light‘s defense. Bixuan set a card to his backrow and passed. 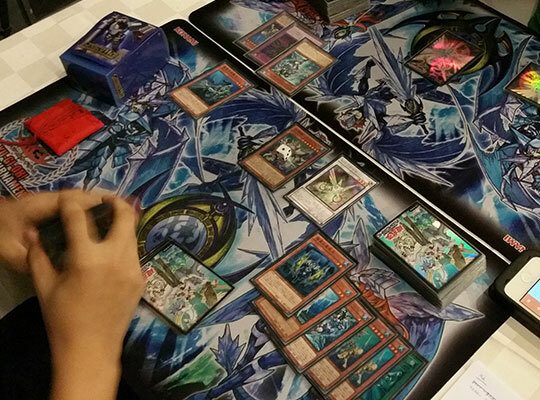 Benz activated Mystical Space Typhoon on his turn, targeting Bixuan’s set card. Bixuan flipped it over, revealing it to be Diamond Dust. Diamond Dust destroyed all of Bixuan’s WATER monsters, dealing the game-winning 2000 damage to Benz!! Bixuan let out his emotions after clinching a close victory over Benz. 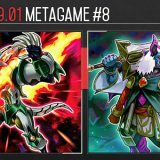 His perfect 8-0 record with Atlantean is a humble reminder as to why his nickname is “SG Best Mermail”. 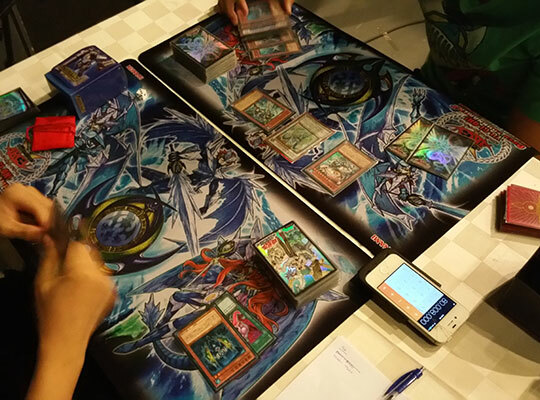 Yu Bixuan, with his Atlantean, is your YOT Singapore 2015 Asia Premier Champion! !